• Salmon: Closed season 1st October to 17th January. Best times on the river are mid June to 30th September. Best times on the lake are late March to mid July (fly & lure). 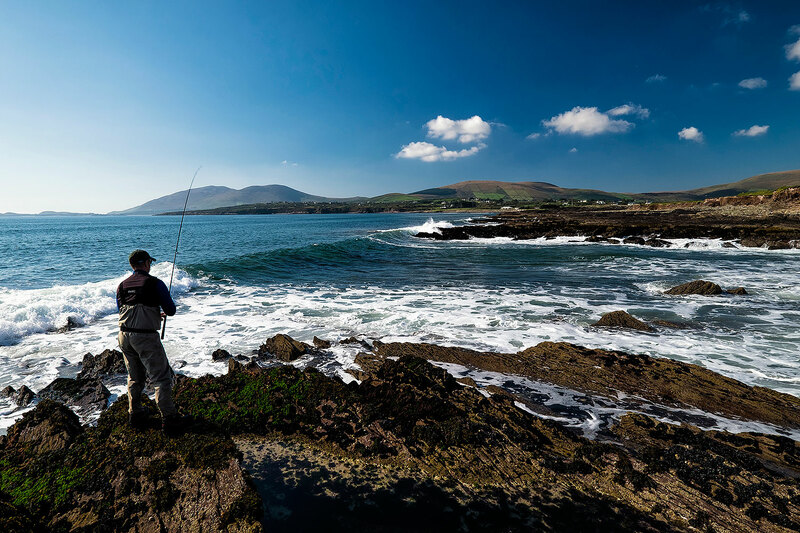 • Sea Trout: Closed season 13th October to 1st February. Best times on the river are May to late August. 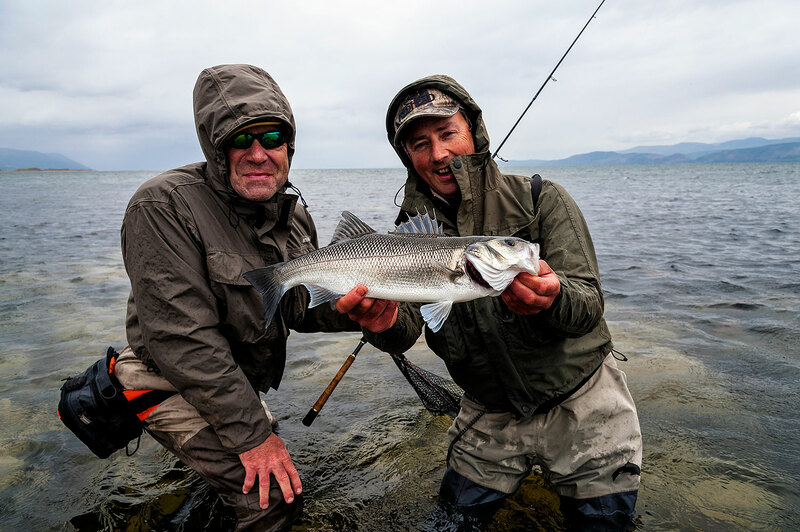 Best times on the lake May to 12th October and best time for sea fishing March to mid June (fly & lure). • Brown trout. Closed season 13th October to 1st February. Best times April to 12th October (fly only). • Mullet: No closed season. Best times April to late October (fly only). • Pollock: No closed season. Best at mid May to mid November (fly & lure). • Wrasse, trigger fish, garfish and mackerel are summer species. Best times from June to mid October (fly & lure). 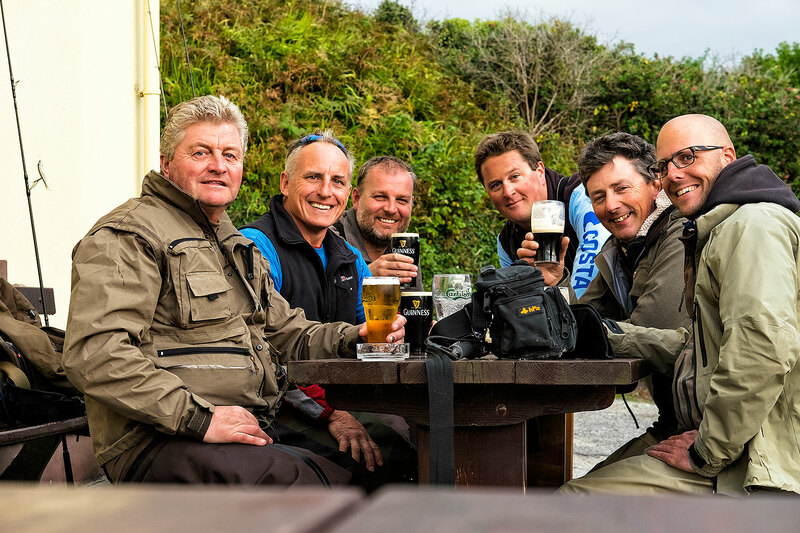 The spectacular scenery, great food, comfortable accommodation and top class service that you receive at Thatch Cottage Fishing Lodge are important but at the end of the day it is all about the fish. 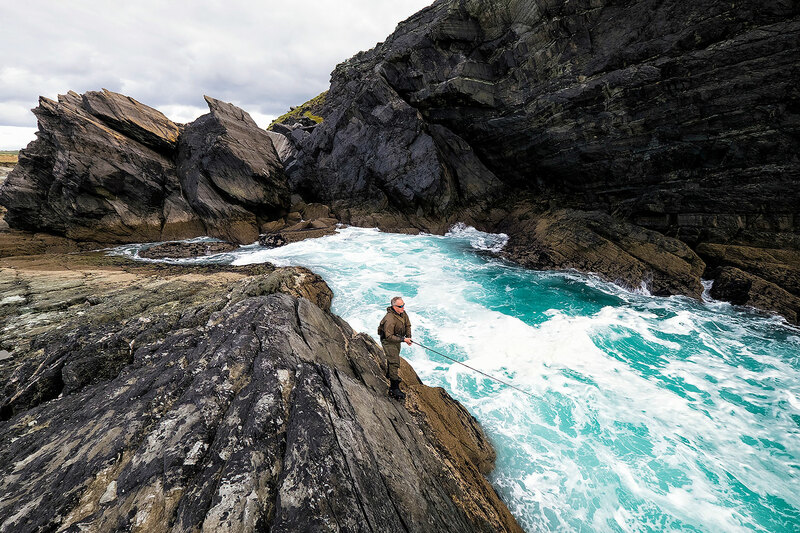 Whether it’s a sea liced salmon taking your fly on our private beats of the local river or the first savage run of a bass that has your reel screaming, we can help make it happen. Using the traditional methods of loch style fishing from a drifting boat for beautiful wild brown trout and sea trout, trying new up to the minute techniques to take mullet on fly, or learning some of the deadly new ways to catch big bass on soft plastic lures, our experience will help you have a fishing holiday to remember. Something for nothing: Feel free to use our life jackets, wading sticks, fishing nets, boat seats, striping baskets, specialist fast sinking lines for Pollock, unhooking pliers, fly tying equipment, tackle shed and freezer space. A little extra: Depending on how you wish to fish, some extra costs may be incurred. State salmon license (if required), salmon river tickets (Euro 25 to Euro 35 per day in high season if required), lake boat hire Euro 55 between two anglers (if required) are not included.